The observant among my followers and friends may have observed that I added this book to the Currently Reading shelf and it moved to the Read shelf in less than 24 hours. This celerity reflects two things: (1) I'm on vacation at the moment and have even more time than usual to read; and (2) the literary heft of this social satire. It's not a bad or unenjoyable read. Kane creates a world of Dogs and Cats that mirrors modern Western civilization in its growing inequality between Haves (mainly the Cats) and the Have-Nots (mainly the Dogs), celebrity culture, media manipulation, and the dumbing down of culture, among other topical issues. 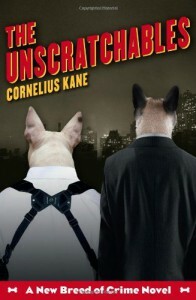 The two main characters are "Crash" McNash, a bull terrier cop, and Cassius Lap, a Siamese cat agent of the FBI (Feline Bureau of Investigation) who's called in to help investigate a murder that may involve a feral cat. 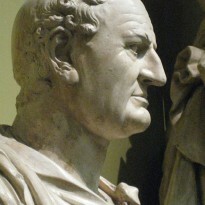 There's also a cast of stock characters one might find in more human-centered crime books - the gruff but basically decent precinct captain, a couple of Mafiosi dons w/ bad Italian accents, and an evil media mogul (Phineas Reynard, clearly a mix of Rupert Murdoch and Silvio Berlusconi), for example. Kane skewers both the bread-and-circuses culture of the hoi polloi as well as the hedonistic, me-culture of the elite but the greatest failure of the book, and what makes it a 2-star, is that there's no anger behind the satire, or at least outrage. Without that underlying passion, it's just an amusing trifle soon forgotten.